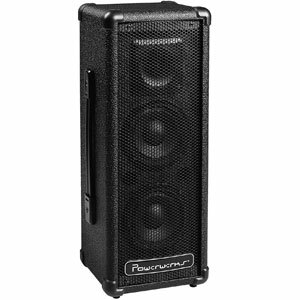 Does The Rockville RPG15 PA Speaker Offer Enough Sound Quality? 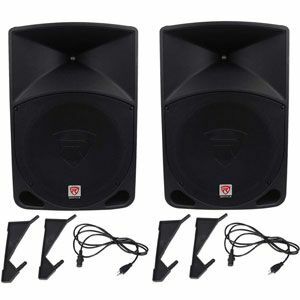 A pair of speakers – such as the Rockville RPG15 PA Speaker – often seems like a preferable solution than a single, compact PA system. This duo of 15’’ 200 watt PA system looks as though it should have the power and components for great amplification and sound quality. Is this the case, or are some users left disappointed? 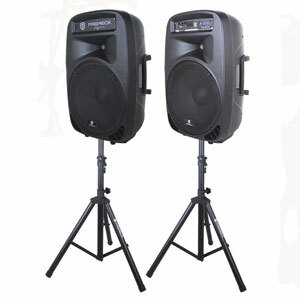 Buyers are impressed with the sound and build of these Rockville RPG15 Powered Active DJ PA Speakers. First of all, there is some great praise from users about the sound quality achieved. This is true of both the clarity of the output and the ability to fill a small venue. There are positive comments from all kinds of users – musicians and DJs to public speakers and church hall users. They all say that the sound quality is more than enough for their need. Still, there are no fancy features or confusing extras to enhance that sound further. That clarity and distance is the result of the 40° large-format horizontal wave guide horn and the 1.35” pure titanium-diaphragm compression driver. As for the other hardware on this Rockville PA system, there are some nice details in the specification that haven’t gone unnoticed. 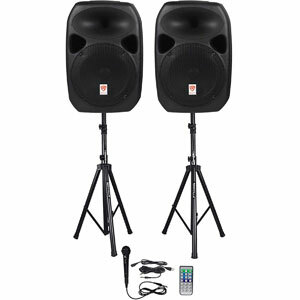 There may be two large powered speakers here, but there have an ergonomic shape and handle to help with transportation. There is also the change to use the speaker on its side as a floor amp. This is a common application among users. Other nice details with this model include the LED coloured indicators, the option for stand mounting and the volume controls on the different jacks. There is no wild praise for this Rockville RPG15 Powered Speakers , but no major criticism either. The general consensus with these speakers is that this is a good, average product. This can’t do everything that some buyers may hope for. There is the sense that this operates as a middle-of-the-road solution in regard to all kinds of functions. The bass is fine, but nothing that will impress DJs. The clarity is great for smaller venues, but won’t hold up to anything bigger. The volume is much the same. 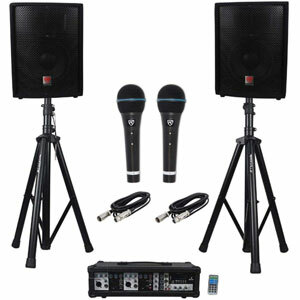 How does this feedback affect the final verdict for this Rockville RPG15 PA System? There really is little here that buyers can complain about. That seems to be because the company goes out of its way to offer the most average, crowd-pleasing option. This can tick a few boxes for almost every user in some capacity. Where it may fail with one element, like the bass or mixer features, it makes up for it with the reliability of the product or some other element of the sound. What this means is that while this isn’t a special, interesting system in any way, the Rockville PA system does have enough going for it to assure users that they have something they can rely upon. 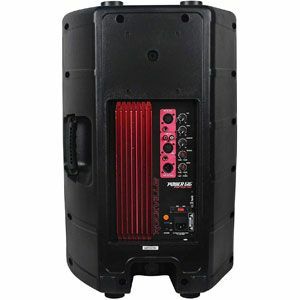 Find more reviews about the Rockville RPG15 PA Speaker on Amazon here.